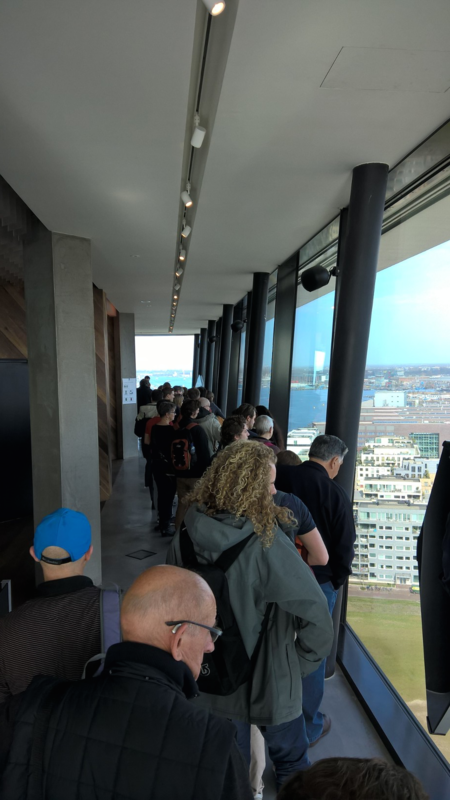 On Wednesday morning (15 March), around fifty Dutch citizens were waiting in line inside a tower in Amsterdam that was formerly owned by the oil company, Shell, in order to take the elevator to the top floor. There was a separate line for regular sight-seers, and for those that wanted to cast their vote for the lower house of the Dutch parliament at 100 metres above ground level. 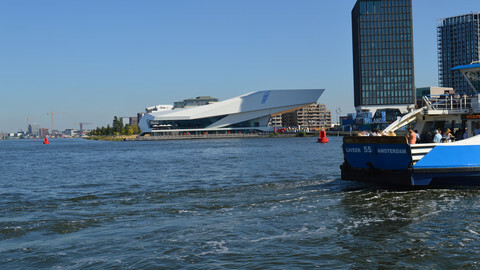 The voters-with-a-view accepted a waiting time of around 30 minutes, but in turn were rewarded with the ability to gaze down on the Netherlands' capital city, which was basking in the spring sunshine. In line, one of the voters was reading a newspaper, that had an article titled "The Netherlands is at a crossroads". 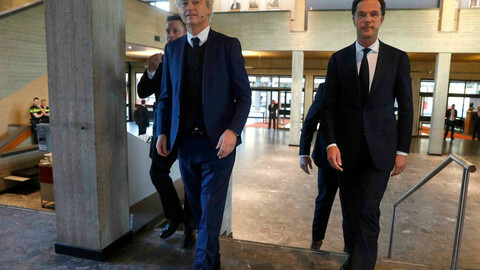 The EU country will be giving the verdict on the pragmatic coalition between two rival parties, centre-right Liberals of prime minister Mark Rutte, and the centre-left Labour party. They can also choose one of the 26 other parties, with international eyes mostly focussed on how anti-EU, anti-Islam MP Geert Wilders will do. The high-up voting was popular, as one of the polling station officials could be heard saying on the phone that more ballot papers were needed. In the Netherlands, voters can choose any polling station in the municipality in which they are registered. Around noon, another line of around eighty people had formed outside the building. The municipality of Amsterdam said that at 13:00, already 25 percent of the city's population had cast their votes. In the two previous general elections, only 14 to 15 percent had voted around that time. Nationwide there are signs that voter turnout may be substantially higher than in 2012, when turnout was 74.6 percent. Research institute Ipsos said voter turnout was around 33 percent at 13:45, compared to 27 percent in 2012. Many people were apparently undecided until shortly before polling day. Democracy information centre ProDemos said its mobile app, which allows voters to compare party positions, was used over 600,000 times since Tuesday afternoon – the Netherlands has almost 13 million eligible to vote. 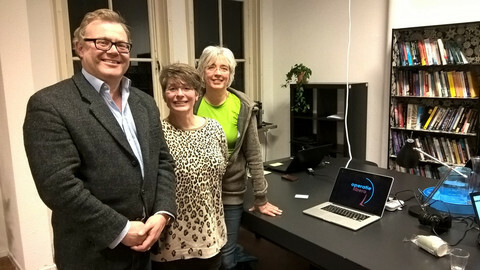 In total, the app Stemwijzer was used over 6.3 million times, a sharp increase compared to 2012, when people accessed the programme 4.8 million times, to help find their way through the plethora of parties. The app, and similar others, have been suffering from cyber attacks, making them temporarily inaccessible. Cyber attacks should be differentiated from hacking, with the first being more akin to online graffiti or a digital sit-in, and the second to a digital form of burglary. A cyber crime expert told national broadcaster NOS that several political parties' websites, as well as media, received substantially more cyber attacks since the start of a diplomatic row with Turkey. The correlation does not prove a causal link, but there has been another cyber-incident related to the row. Twitter users that had installed a certain extension, saw their accounts hijacked. Without knowing it, they sent out tweets with the hashtags #Nazialmanya and #Nazihollanda, a reference to Turkish president Recep Tayyip Erdogan's repeated insults addressed to Germany and the Netherlands. In Strasbourg, European Council president Donald Tusk gave a message of solidarity to the Netherlands, calling it a “place of freedom and democracy”. 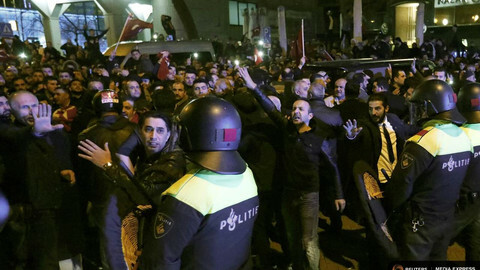 He specifically mentioned Rotterdam, the city where Turkish ministers were prevented from holding a rally to gather support ahead of an April referendum on granting Erdogan more powers. “The city of Erasmus, brutally destroyed by the Nazis, which today has a mayor born in Morocco. If anyone sees fascism in Rotterdam, they are completely detached from reality,” said Tusk. European Parliament president Antonio Tajani also referred to the Dutch-Turkish row. “I would like to recall that today in the Netherlands people are voting and no one should offend a democratic country that goes to elections and the values we all recognise,” Tajani argued. 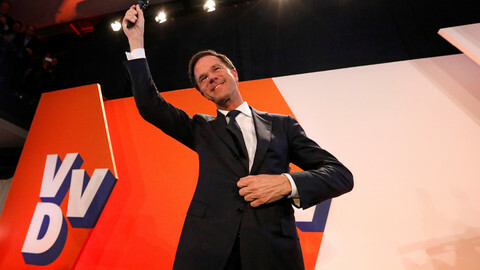 Polls in the Netherlands will close at 21:00. An exit poll will be published at that exact time, but the final results are not expected until after midnight. 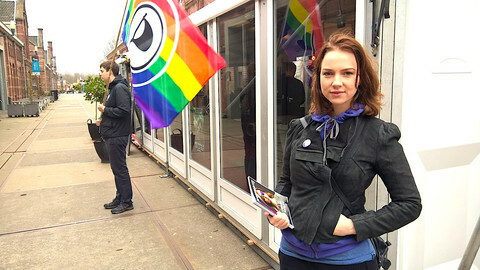 Volunteers have gone online for the past two weeks, in an attempt to persuade potential voters for the anti-EU and anti-Islam leader to vote someone else.